I love any shoe that adds a pop of color to any outfit. I just love color in general and I'll take it any way I can get it, especially in shoes. 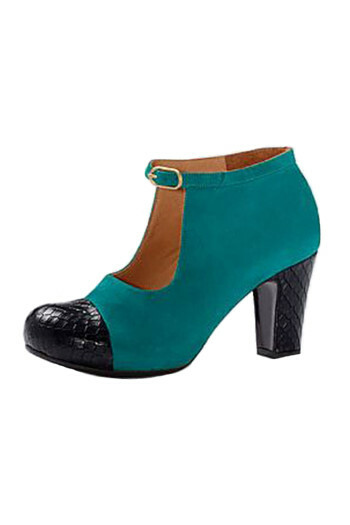 Which is why I love the bright turquoise of the Clementine Atla Heel. Featuring a turquoise suede body with black textured toe cap and heel, the Alta Heel is as comfortable as it is eye-catching. The 3" heel coupled with a 3/4" front platform makes this the perfect wear all-day heel.So skip the typical black or brown boots and opt for something a bit brighter this fall. Have we peeked your interest? Check out this darling shoe HERE.